In the midst of winter, one thing keeps you going: the thought of warm weather. With spring comes the growth of all things green. While you are waiting for winter to end, spend some time getting your lawn equipment ready to run. That way when the grass is ready, you will be as well. The big gun in your lawn care arsenal is your lawn mower. When it fails to start, you can often fix it by taking a few easy steps. Sometimes the problem is as simple as dirty gasoline. If you stored your mower with a full tank, the fuel could have become dirty and stale. If this instance, you can carefully drain the fuel tank and refill it with “fresh” gasoline. Often, this simple step corrects the problem. Of course, this rule applies to your edger, weed trimmer and other gas-powered lawn tools as well. To prevent stale or dirty fuel issues, use Gold Eagle STA-BIL Storage, a fuel stabilizer that will keep your fuel fresh for up to 24 months. Add STA-BIL before you put the equipment away for the season. This step will eliminate the need to drain your fuel tank in the spring. Also, any left-over gasoline should be kept in a proper container to keep it clean and to prevent accidents. If the pull cord breaks on your mower or edger, you should be able to replace it yourself by following step-by-step directions. First, you will need to remove the rewind assembly from the top of the lawn mower, which usually involves removing a few screws or possibly rivets. After that, you will turn the assembly over and pull out the knotted end of the broken rope. You can buy a replacement rope at any number of home improvement or discount stores. You will need to rewind the spring and hold it in place with a screwdriver while you thread both holes with the new rope. Reattach your rewind assembly and the handle. You may have to trim the rope so that it maintains enough tension to start the mower. The process is similar for edgers and weed trimmers. If the spring breaks, you probably will need to have a professional replace it, since the process is more complicated. While you cannot prevent all cord breakage, storing your mower and other machines in a dry place will help prevent cord problems. Also, if the cord is difficult to pull, you need to stop tugging on it and find out what the mechanical issue is. Otherwise, you will just break the rope and have two problems. If your mower coughs, sputters or dies, you may have a dirty fuel filter, another problem that you should be able to take care of yourself. You will find the fuel filter between the tank and fuel pump, or sometimes inside the fuel tank. Consult your owner’s manual if you are unsure of the location. If the filter is in the fuel tank, you will have to drain the gas. Otherwise, shut the fuel valve that is usually located at the base of the tank. Using pliers, remove the old filter and, keeping the filter at arm’s length, look at it. If you cannot see light through the holes, you need to replace the filter. If the filter looks good, your mechanical problem is elsewhere. You also need to check the fuel filters on your gas string trimmer as well. Although models vary, you can often find and change the fuel filter yourself. You will need to fashion a hook from a piece of wire. A coat hanger should work for you. Then empty the fuel from the trimmer into a standard gas can. You will have to use the hook to lift the fuel line out of the gas tank and then pull the old filter off. You then attach the new filter. While you have the opportunity, you should also inspect the fuel lines to make sure they are intact. If everything looks good, push the filter into the back of the tank. 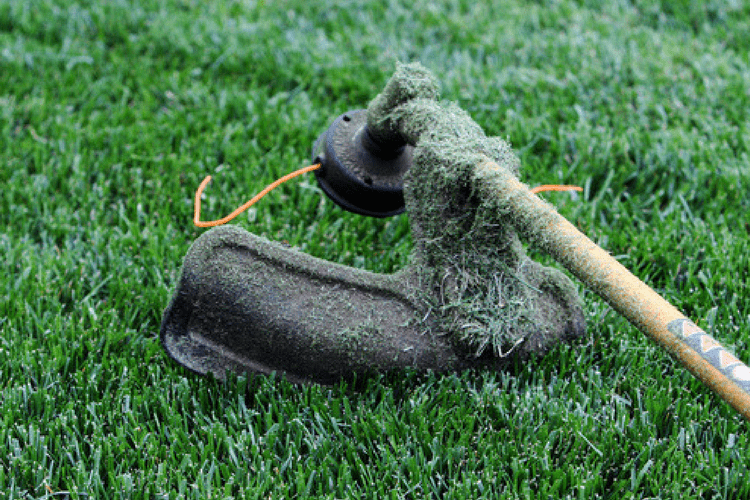 Don’t wait until your lawn equipment develops problems. Inspect the fuel filters of all your equipment, including your handheld hedge trimmer, at the beginning of every mowing season. Cleaning and/or fixing a mower carburetor is more complicated, but it can be done if you have some DIY ability. You will need to remove the mower’s fuel tank to get access. Once that’s done, cleaning the carburetor is relatively simple. If it requires repair, you will need to carefully follow directions or take it to the professionals. If you feel up to the task, there are numerous YouTube videos that give you step-by-step directions. As always, proper storage methods and clean fuel can help prevent these problems from developing. 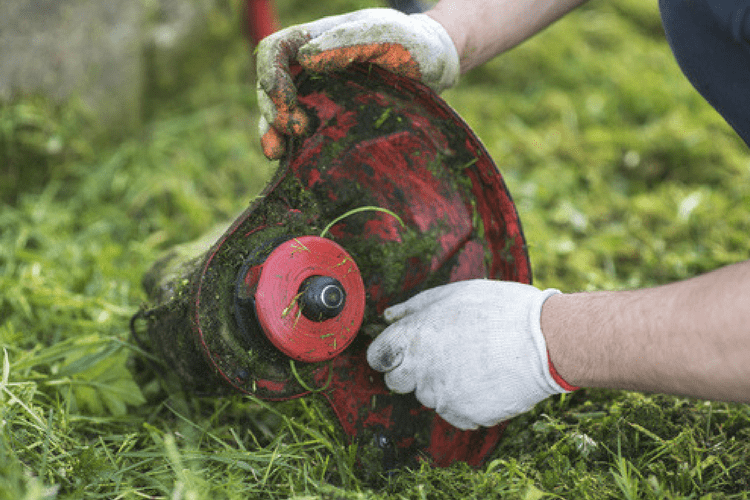 Your lawn care equipment is likely to break down occasionally, but you can perform some of the simple repairs yourself, using only a few tools and a little time. Broken pull ropes, dirty fuel filters and bad gasoline are usually simple problems to fix. If you feel confident in your skills, you can tackle the tougher stuff, like repairing carburetors. Don’t neglect your other lawn equipment. Your edgers and trimmers also need attention. You may need weed eater repair as well as chainsaw repair. Store everything in a clean, dry place where it is protected from debris. That simple step will prevent many equipment breakdowns. A little maintenance and repair time will keep your equipment running and your lawn looking beautiful during the growing season.